On Sunday, it was Nebraska; Monday, South Dakota; today, North Dakota. 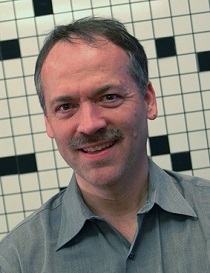 For New York Times crossword editor and NPR weekend riddler Will Shortz (pictured), this means that his personal quest to play ping pong in all 50 U.S. states is very close to fruition. State No. 47 will come Wednesday in Wisconsin, leaving Mississippi, Wyoming and Hawaii as the only states where Shortz has yet to connect paddle with ball and send it over a net. Those states probably will require individual trips, he says. His quest “sort of started” in 2003 after he’d gone home to Indiana for Christmas. 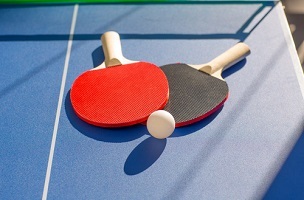 On his drive back to New York, he decided it would be fun to play table tennis in Pennsylvania and stopped at a club in Allentown. Shortz soon began listing the clubs where he had played, then set his goal of being the first person to play table tennis in every state. On this leg of the journey, Shortz has been accompanied by a guy who sounds very much like he could be the answer to a tricky crossword clue – Robert Roberts. In this case though, we’re talking a three-time Caribbean ping pong champ.